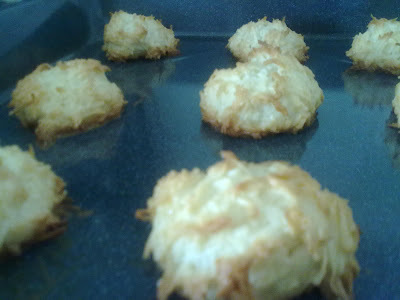 I make macaroons every so often, because "The Ukrainian" likes them. But I haven't been able to get them quite right... until now. 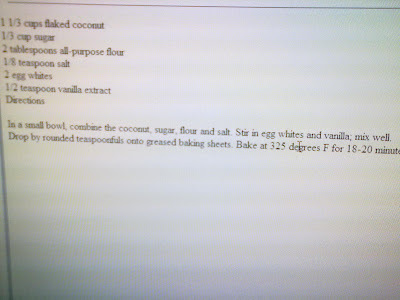 And look at the recipe... so easy! I left these in the oven a little longer than specified and then left them in there while the oven was cooling down. 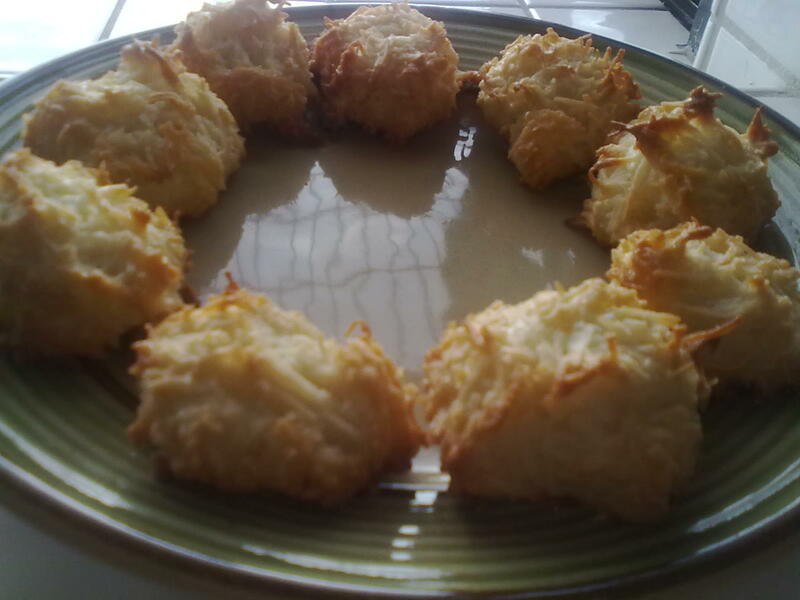 They came out crispy, and because of no condensed milk like most versions, they were not too sweet! The only con? This made about a measly 9 macaroons. Also pictured is version 2 of tofu scramble. 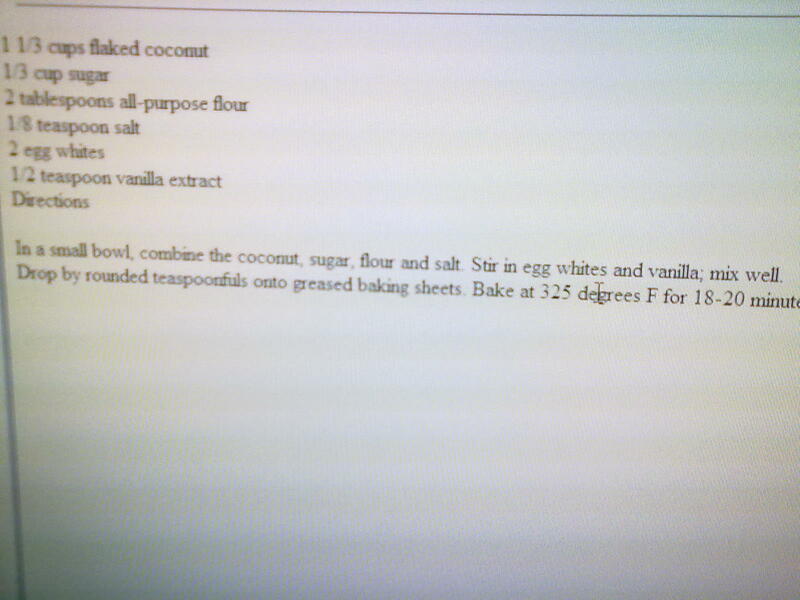 I didn't follow the recipe, and it turned out 200% more tasty (in my opinion)! 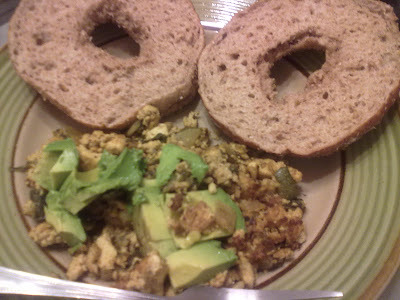 Less crumbly, no overpowerment by spices/salt, and very light-tasting. I love macaroons... might have to give these a try!